The beautiful, handmade kneelers beginning to fill the church have all been made by members of the congregation, many taught by Sheila Hosking how to embroider. All the kneelers have an original design and are usually in memory of someone or commemorating a special event. 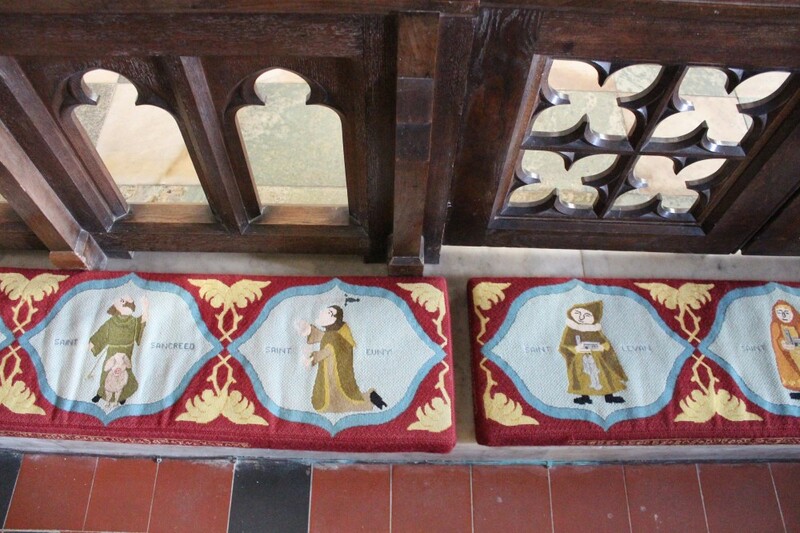 The two kneelers at the Lady Chapel altar rail were made by Eileen Jenkin in 1997. One is dedicated to the memory of her paternal grandparents John and Jane Carne. 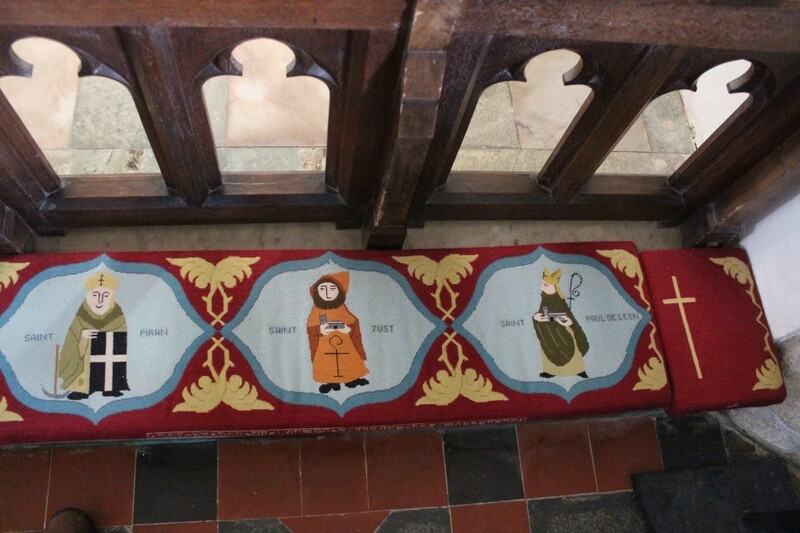 John was a policeman and the design of the kneeler shows along its length the story of a crime from discovery to punishment and the workings of justice. The other kneeler is dedicated to Eileen’s maternal grandparents, Ashley and Eileen Cargeeg who farmed at Cardinney, and shows the processing of milk from cow to table. 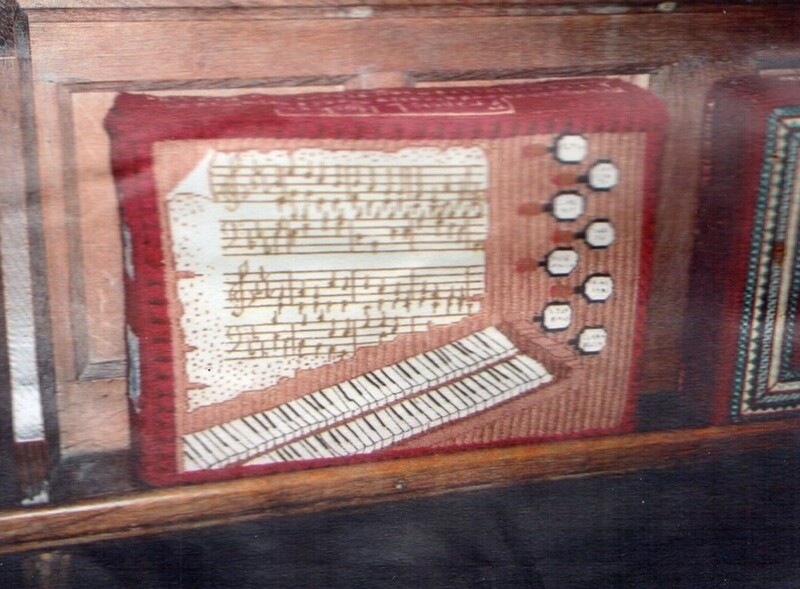 This kneeler to the right, showing a keyboard, music and organ stops, was painstakingly made by Margaret Hosken in memory of her husband Frankie who was our Church Organist for many years. 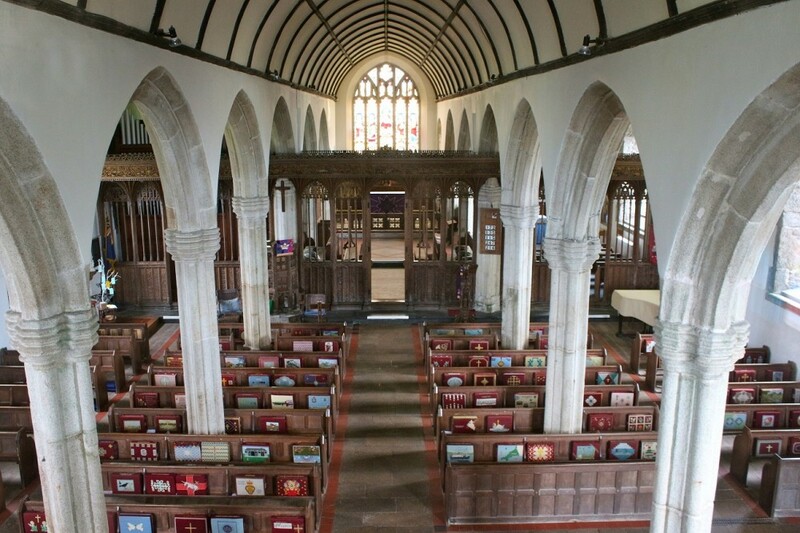 Unfortunately it has disappeared from the church. If anyone finds it we would be very grateful for its return.